ROUNDTABLE | Our picks for the next project by the remake masters. Bluepoint Games have mastered the remake. Even if we don't always agree with their approach to the likes of Shadow of the Colossus, Bluepoint's technical mastery can't be disputed. So it's with great excitement that we hear that Bluepoint is working on another remake. Their biggest yet even. What could this remake be? Well, Bluepoint may be ready to give God of War the Shadow of the Colossus treatment. Conversely, Bluepoint could be working with another publisher, perhaps Capcom or Konami (hey, we can dream, right?). Whatever the case, we have our own hopes for Bluepoint's next project. Read on for our picks! Resident Evil 4 has an HD remaster already, but surely Bluepoint Games could do better? When word hit that Bluepoint was working on another full-scale remake, I went back and looked through the best games of the last couple of generations. I found that Sony's best exclusives have been mostly accounted for, unless Bluepoint wants to go back and fully remake the original God of War (I'd be fine with it). But one game really jumped out at me as a good target for a remake: Resident Evil 4. Resident Evil 4, of course, is arguably the best Resident Evil ever made. We called it one of the best 15 games since 2000 a couple years back. It's a fantastic horror shooter that did its share to popularize the third-person shooter genre. Even today, that chainsaw is still ringing in my ears. Resident Evil 4 would be an interesting challenge for Bluepoint. The original game boasts a decent HD remaster for the Xbox 360 and PS3, but its controls are badly outdated and frustrating to use on modern controller. 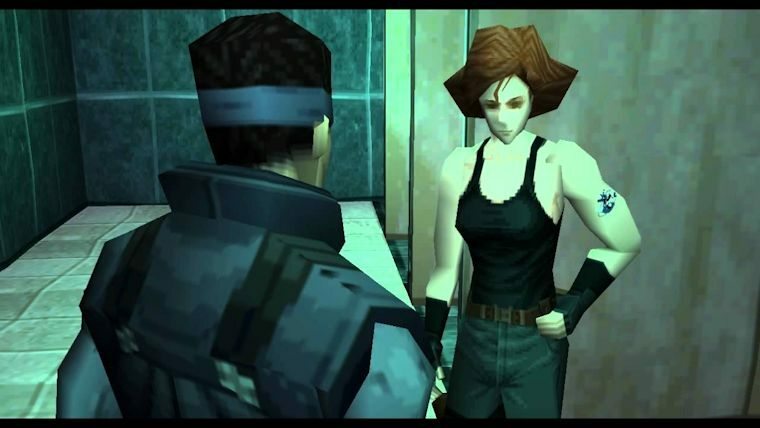 I would be interested to see if Bluepoint could modernize that element of Resident Evil. Of course, they could just make it a PlayStation Move exclusive (I kid, I kid). Beyond that, Resident Evil 4 was probably the best-looking game of the PS2-era, but its glory has faded since the transition to high-definition consoles. I would love to see a full-blown remake from the masters. With Capcom getting much better at managing their classic properties, the time is now for a fresh look at one of their best games. The Silent Hill HD Collection was botched, so why not win back some goodwill by letting Bluepoint have a crack at it? 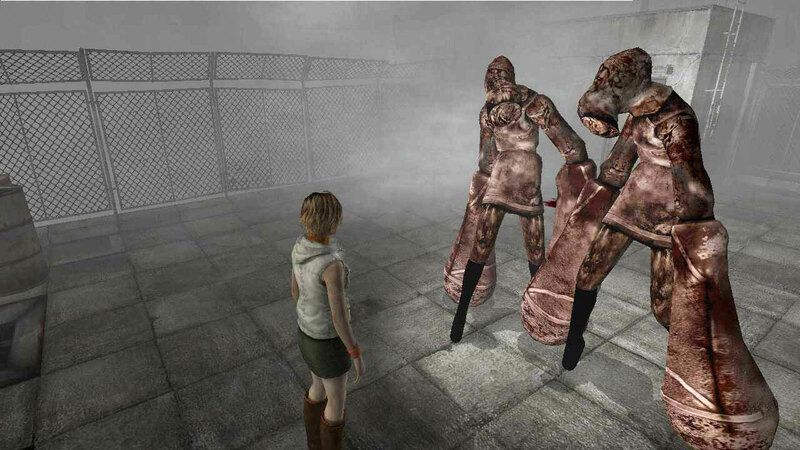 Hijinx Studios once shipped a bug-riddled HD collection for Silent Hill which failed to connect with fans of the series and critics. 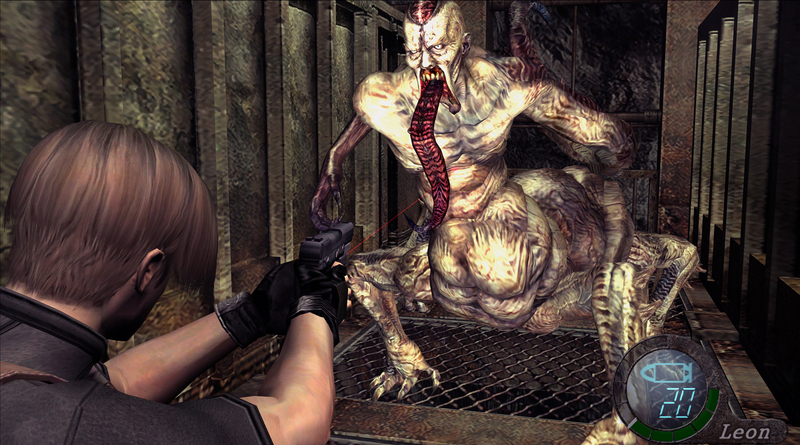 The studio famously said that Konami lost the source code for both Silent Hill 2 & 3, which forced the developers to work with unfinished builds of the game. But the developers at Bluepoint, who remastered a Metal Gear collection for Konami, went on to say that they don't use original source codes for games, instead opting to reverse engineer their remasters from the game discs. So with this in mind I say we let the studio with the proven track record of remastering and remaking games have a shot at re-doing one of the most famous, botched remaster collections in recent memory. With Bluepoint at the helm, long-suffering fans of Silent Hill might finally get a remake, or even remaster that the Silent Hill series is long overdue for. We might even get the other Silent Hill games into the collection like the criminally overlooked Silent Hill 4, or Silent Hill: Shattered Memories. It's the least we deserve after the one-two kick in the shins that was the Silent Hill: HD Collection and P.T. Mike is still holding a torch for a Burnout 3 remake. To mirror something else that I published today, if Bluepoint is out here just remastering anything then I think I'll go with Burnout 3: Takedown. Let's be honest, we've been without any great arcade-style racers for a long time. The major publishers have mostly left the form behind in favor of more realistic racers, like Forza Motorsport and Gran Turismo. Remember the heyday of games like Crazy Taxi, Out Run, San Francisco Rush, Blur, Split/Second, and Burnout? I do. The arcade racer is a lost art, one that publisher decided wasn't profitable enough. Forza Horizon is the closest we got, but it lacks the breakneck pace and creative bent of many of the best arcade racers. Bluepoint is adept at remaking titles, so I'd like to see them tear down Burnout 3: Takedown and rebuild it again for this generation. 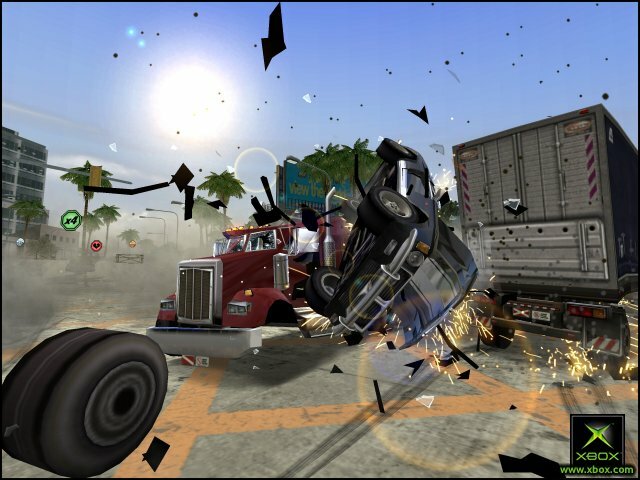 Between high-speed racing events like Grand Prix and Burning Lap, or crash-heavy action in Road Rage and Crash Mode, Takedown brought the best of both worlds. A series of tracks stretched across locations in North America, Europe, and Asia, redone in full 1080p or 4K splendor. The crumple of a hood or sparks from a grinding collision in full 60fps. Burnout 3: Takedown deserves a remaster, folks. And hey, if we're dreaming, why not the entire Burnout series? Burnout, Burnout 2: Point of Impact, Burnout 3: Takedown, and Burnout Revenge all deserve a new coat of paint. Fans may argue which game is the best, but a collection puts all those arguments to bed, because everyone gets what they want. 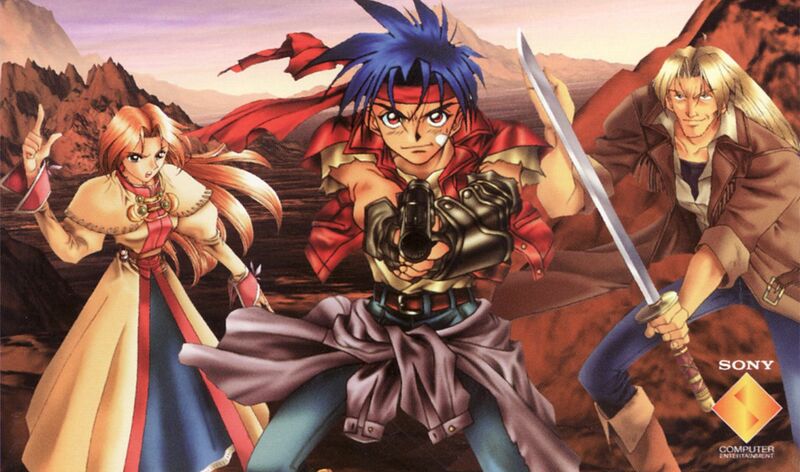 Nadia wants Bluepoint to go big and remake Wild Arms, because why the heck not? Wild ARMs was my first PlayStation RPG, and it's one I still slide back to once in a blue moon. It got buried under the release of Final Fantasy VII, but it still managed to garner a fanbase with its incredible soundtrack, memorable characters, and technology-infused "Wild West" setting. Yeah, maybe a sci-fi Wild West isn't as fresh a setting as it once was. We're living in a post-Firefly / post-Gunslinger world, after all. But I still feel like Wild ARMs' twist on the formula works. Filgaia is a dying world with a demon problem, and guns (the titular ARMs) are feared. Wild ARMs is a weird mash-up of Western and JRPG tropes, and I feel like the game would shine after a good rub-down. Reduce random encounters, or get rid of them. Do something about the (nostalgia-inducing, but frankly hideous) polygonal battle scenes. Give the translation a good once-over so we don't wind up with "Jabberwock" localized as "Javawalk" again. Wild ARMs received the remake treatment once before on the PlayStation 2 with Alter Code F. It didn't perform well critically, but I'm glad someone swept a spotlight back onto this plucky PSOne adventure. I want it to happen again. I'll take any excuse to listen to that overworld theme. Metal Gear Solid 2 and 3 received HD remasters, but what about the original? Remember that gorgeous looking Metal Gear Solid fan remake a few years back, that was inevitably hit by the accursed DMCA takedown from Konami? How about that, but in the hands of Bluepoint, acclaimed masters in the art of remaking. I’ll be honest, I mainly want a Metal Gear Solid remake because it’s the one game in the series that I’ve got no way of playing, but there’s no denying the thought of the original Metal Gear Solid running on the gorgeous Fox Engine (which is currently going to waste on Metal Gear Survive). Hell, David Hayter said just last year that he’d be open to the prospect of rejoining Konami for another main Metal Gear Solid game, so why not have him come back in and redo his lines? That’s an easy win with a fan base that’s going through some tough times right now. There’s so much Metal Gear history sitting dormant on the last generation of consoles, it simply doesn’t make sense—financially or theoretically—for Konami to leave it lying there. Then again, this is Konami that we’re talking about. Tagged with Bluepoint Games,	burnout 3,	Feature,	PlayStation 4,	Wild Arms.